As an important driver of Thailand’s tourism sector, wellness tourism is a star in tourism businesses with over 7% annual growth during 2013-2015. Its market is valued at 320 billion baht and ranked 13th in the world and 4th in Asia after China, Japan and India. Thailand’s strength lies on its own resources that are perfectly fit with the trend on wellness tourism. These include nature, food, herbs, Thai traditional medicine, local sports, religions and tourism-friendly environment. In particular, high standard and quality in services give Thailand an important edge over other countries. EIC sees that developments on new services can help raise competitiveness potential for businesses - for example, silent spa, spa for cancer patients and meditation studios. Such services aim to create new health-related experiences. In fact, hotel businesses prove to be one of potential players to get into wellness tourism and cater their services towards different demand by various groups of tourists. Wellness tourism is up and coming according to the world’s recent tourism trend. Overall, the wellness industry can be classified into 2 groups of health services: internal and external care. Internal care includes advice on nutrition, fitness and mind-body, personalized preventive care, food supplements and alternative medicine. External care is commonly seen in beauty and anti-aging businesses, spa services as well as wellness tourism. According to the forecast by the Global Wellness Institute (GWI), beauty and anti-aging businesses take up the largest share of 26% of the market in 2015. However, their share is likely to fall to 22% in 2020. On the other hand, other services like fitness and mind-body advisory, personalized preventive care and wellness tourism are expected to grow from 19 trillion baht in 2015 to 27 trillion baht in 2020, an equivalent of 7% annual growth during 2015-2020 (Figure 1). This presents great opportunities for new integrated services in the health industry that have now gained popularity around the world. With the trend of healthy lifestyle, wellness tourism incorporates both prevention and promotion of physical and mental health. Growth in wellness tourism is underpinned by 3 main factors. First, the rise of the middle class around the world means that people are spending more on tourism activities. Second, consumers all over the world are more health conscious as non-communicable diseases (NCDs) and work stress have shown to have a greater impact on health (Figure 2). Lastly, the recent trend in tourism focuses more on new experiences at travel destinations. In comparison to traditional tourism, the outlook for tourism sector now puts a greater emphasis on wellness tourism. In fact, this market segment is expected to accompany growth in the market for medical tourism of around 16% per year during 2017-2020. As consumers nowadays look for new experiences, businesses in wellness tourism must develop further to offer unique services. For example, silent spa provided by a hotel group in Austria, the Vamed Vitality World, is located in a specially designed building that resembles a Christian monastery. The design is meant for guests to feel relaxed in a tranquil environment without any noise disturbances. This feature is very attractive for customers who wish not to be distracted by things around them. Designed by neurologists, on-demand meditation program at the Benjamin Hotel in New York allows guests to use its services anytime through the hotel’s internal phone system. This service effectively meets the needs of business travelers looking to relieve stress. The Dream Reality Cinema in California has applied a scientific research on human’s dreams to formulate a business opportunity by making scenarios to stimulate happy dreams, mitigate sleeping problems, reduce stress, and motivate creativity and imagination. In addition, traditional health businesses such as spa have applied knowledge from health sciences to create new and unique services. For instance, cancer patients who have undertaken chemotherapy can now use spa services to replenish their skin conditions, allowing them to feel fresh and more confident. This type of spa has become more popular in Europe and in the U.S. Besides, wellness tourism has opportunities to create more value added to the Thai economy. According to GWI, Thailand’s receipts from wellness tourism grew 7% annually during 2013-2015. Its market is valued at 320 billion baht and ranked 13th in the world and 4th in Asia after China, Japan and India. Wellness tourism accounts for around 3% of Thai GDP with 90 of its receipts coming from beauty and anti-aging businesses, preventive medicine, and sport and adventure tourism. The other 10% is spa businesses. Moreover, wellness tourists have 61% greater spending than average tourists due to their high purchasing power and longer duration of stay (Figure 3). This reflects a great business opportunity arising from the wellness tourism trend with a bright outlook going forward. 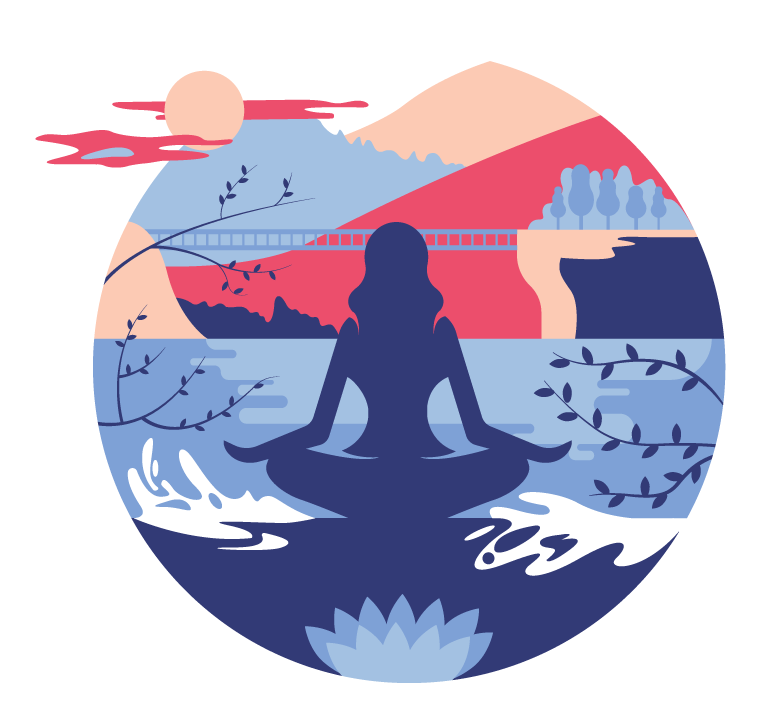 Longevity of the world’s population, health consciousness, and the trend on relaxation in tourism will support wellness tourism to grow further. Thailand has seen investment in various businesses in wellness tourism. The strengths of Thailand’s wellness tourism are an application of already available health resources. Meditation and yoga studios have applied Buddhism’s meditation teachings. Spa businesses have brought local herbs and ingredients to offer new consumer experiences. Sport businesses have offered classes on one of Thailand’s national sports, Muay Thai, that is currently popular among foreign travelers. However, other popular services overseas can be brought to create new opportunities in Thailand’s wellness tourism in order to meet diverse demand by both foreign and Thai tourists. EIC assesses that wellness tourism is an opportunity for Thai businesses to develop new services. Businesses may offer new services based on scientific findings or adjust their existing services by using locally sourced ingredients and herbs, natural sound therapy, aromatherapy, thalassotherapy, mud therapy or sauna room that customers can enjoy with various performances provided by the spa to enhance a new and impressive experiences. Hotel industry could seize opportunities by adapting their businesses to wellness tourism easier than other industries. This is because the hotel industry can reach out to customers directly and therefore create value added by offering activities relating to wellness tourism. By doing so, the business could cooperate with local business partners in order to expand varieties of services or develop new features based on the current business model, e.g., sea sand scrub, pearl spa, and local aromatherapy herb, to create an atmosphere and offer customers unique experiences. In fact, a study conducted by CBRE Hotels shows that, in the U.S., hotels that offer spa services substantially gain a higher average daily rate by 14-28%compared to the other hotels. Note: Domestic tourists are those traveling within their country. International tourists are those traveling abroad.